I just thought this was interesting. 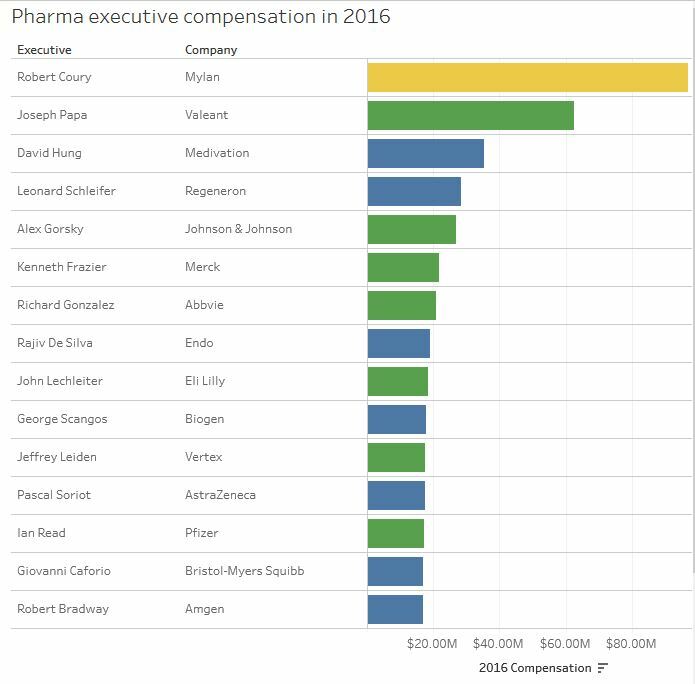 It was published on FiercePharma.com, 11 July 2017. Tracking executive pay follows a familiar pattern: Collect compensation disclosures, read said documents as they pile up, and when the usual suspects have all filed their annual reports and proxy statements, put the numbers into a spreadsheet and sort descending. It’s pretty much guaranteed Johnson & Johnson’s CEO will be near the top of the list, regardless who’s in the job. Same for Abbott Laboratories—until it spun off its pharma business, AbbVie, whose CEO is now a regular. Same for Bristol-Myers Squibb—from Jim Cornelius to Lamberto Andreotti and now Giovanni Caforio, M.D. Notice who is not on the list?